Carolyn Raffensperger Ben Franklin is a worthy muse for the environmental activist. Remember "an ounce of prevention is worth a pound of cure?" Very precautionary. But his particular genius was inventing government forms and institutions that were needed at the beginning of our democratic experiment in the US. The public library and fire department were two of his noble creations. I wonder if our environmental institutions today don’t need to be re-examined for our changing world: discarded in some instances, reformed in others and entirely new ones invented? I'll bet Ben Franklin would like an idea that the Science and Environmental Health Network has been developing -- an Office of Legal Guardian for Future Generations. The Guardian would be a new environmental institution that could implement the rights of future generations to inherit a habitable planet. Note the embedded ideas in that new institution: a rights-based approach to environmental law, and granting legally enforceable rights to future generations. We began this work on future generations as a natural evolution of the precautionary principle. Our friends at the Indigenous Environmental Network noticed that the precautionary principle was an expression of the Haudenausonee decision-making process that considered the impacts of an action or policy on the seventh generation. (In a delicious twist on this story, Ben Franklin spent time with the Haudenausonee, or Iroquois Confederacy, as he was working out the framework of the Constitution.) We wanted to know how to make the seventh generation rule real in public policy. In 2006, in collaboration with IEN, we crafted The Bemidji Statement on Seventh Generation Guardianship, a statement about taking seriously our sacred right and duty towards future generations. As we've grappled with acknowledging, expanding and creating the rights of future generations, we've discovered some basic principles by which a Guardian might make decisions. Consider a rule that would specify that future generations would not inherit a debt without a corresponding asset. For example, most state parks were purchased with bonds which future generations had to pay back, but we got the parks along with the debt. In contrast, our generation is leaving a massive debt along with toxic and nuclear waste sites. This doesn't seem fair. Much of SEHN's work on the rights of future generations is the result of a 2.5 year collaboration with Harvard Law School's Center for International Human Rights. Together, we recently released two documents. The first is a model statute and constitutional provision granting future generations a legal, enforceable right to a healthy and clean environment. This document can be used by any governmental body that seeks new and innovative ways to mold its environmental policies. The second document describes mechanisms like the legal guardian for carrying out the rights of future generations. In this issue of the Networker we present two articles describing the Guardian. One is a memo for governments that would like to see some of the tasks of a Guardian. The other is a Rachel's Democracy and Health News report on the first SEHN/Harvard paper. I suspect Ben Franklin would approve. Carolyn Raffensperger Four Premises Our understanding of the environment is changing. The new problems associated with toxic chemicals, the loss of biodiversity and climate change invite us to try some new experiments in our laws and policies. Here are four basic premises for visionary environmental action. Government has an essential role to play. That role is to serve as the trustee of the commonwealth and the common health for this and future generations. The commons -- all the things we share -- libraries, roads, bridges, parks, wildlife, air, water, museums are foundational to the economy. They are also critical for public health. The best way to take care of the commons is to use the precautionary principle, which directs us to take action to prevent harm in the face of scientific uncertainty. This generation has a duty to protect the rights of future generations to inherit a habitable planet. We can create new mechanisms and institutions to protect those rights. For instance, we could designate legal guardians for future generations at any level of government. These four principles have been expressed in various laws in the United States and around the world. For instance, San Francisco has adopted the precautionary principle as the overarching law for all its environmental ordinances. A Problem We are now seeing that many problems are interrelated. Burning coal pollutes the air and deposits mercury in water that contaminates fish. The absence of sidewalks contributes to obesity and increases the use of cars and consequently increases air pollution and the likelihood of climate change. Reconfiguring the way we think about and address these issues means we can solve multiple problems at once. Create a vision or goal and a plan that would make this town the best place to age. From the new baby to the 97 year old elder, what would it take to make this the best place to mature? In November 2008, two environmental health organizations released a report on threats to healthy aging. Disease such as asthma, cardio-vascular disease and Alzheimers all have environmental contributors. Local action such as increasing the walkability of a town or guaranteeing access to nature has the enormous potential to help people live healthier lives and cut down on the costs to society and families of sick people, particularly the elderly. A. perform assessments of the impact of governmental (administrative and legislative) decisions on future generations. This could function like an environmental impact assessment but specifically address the consequences to future generations. While this could be the responsibility of a designated guardian, it could also be a task that committees or staff performed as part of their evaluation of decisions. B. Identify and propose a range of alternatives to plans that could harm future generations. C. Create a legacy plan that would begin with an audit of the shared commons – parks, wildlife, water and perhaps libraries, sidewalks and other things – and prepare a plan that would turn these over whole and intact to future generations. The audit of the commons could be reported every year as part of the state of the city or part of the budget. The earth is our home -- our only home. So far as anyone knows, there is no other place in the universe hospitable to human life. If we ruin the earth as a place suitable for humans, we are lost. In 2000 the United Nations organized a massive study to assess the condition of planet earth. Called the Millennium Ecosystem Assessment, the study involved 1300 researchers from 95 countries, who spent four years examining 24 ecosystems worldwide. The main conclusion: of 24 ecosystems studied, 15 (about 2/3rds) are in serious decline as a result of human activities. When the Millennium Assessment was released, the scientific director of the project, Dr. Walter Reid, said, "At the heart of this assessment is a stark warning. Human activity is putting so much strain on the natural functions of Earth that the ability of the planet's ecosystem to support future generations can no longer be taken for granted." As more and more people recognize that humans are ruining the planet as a suitable home for humans, a central question comes into focus: how can we protect the future, so that our children can be assured of having a suitable home? What habits of thought, rules for behavior (laws), and institutions can we put in place to make sure the earth continues to support our species? Now a new report, Models for Protecting the Environment for Future Generations, from the Science and Environmental Health Network (SEHN), the International Human Rights Clinic at Harvard Law School, and the Indigenous Environmental Network (IEN) offers an overview of legal and social mechanisms that human societies, ancient and modern, have created to protect the future. How do we formally acknowledge and assert that the present generation has an obligation to future generations, and that future generations have a parallel right to a habitable planet? What legal and social relationships can embody our recognition that we have a duty to preserve our children's only home, the Earth? What institutions can we create to make those relationships real and effective? Luckily we don't have to start from scratch. Ancient human societies have passed down to us some of their own wisdom about these questions. For example, the Gayanshagowa, or "Great Binding Law," of the Iroquois Confederacy, defines the duties, rights, and qualifications of leaders to take future generations' interests into account in their decision- making: to "[l]ook and listen for the welfare of the whole people and have always in view not only the present but also the coming generations." (p. 7) This ancient law finds modern expression in the Bemidji Statement developed by the Indigenous Environmental Network. In modern times, humans have formally acknowledged the interests of future generations in various legal frameworks. These include declarations (like the Rio Declaration on Environment and Development), conventions (the Stockholm Convention on Persistent Organic Pollutants, for example), constitutions (notably, those of Bolivia, Japan, Norway and the U.S. states of Alabama, Colorado, Hawaii, Illinois, and Montana; see the appendix C of the report pp. 34-46 for details), as well as certain U.S. federal and state laws (like the California Environmental Quality Act). So we have examples, ancient and modern, of many ways that present-day humans have acknowledged their obligation to future generations. Arguably, this obligation, once acknowledged, creates a parallel right of future generations to inherit a habitable world. Rights are a particularly powerful concept in the law, often trumping other interests. But how can a right to a habitable planet be safeguarded? We can have the best intentions, but if we don't have a mechanism for representing the interests of future generations in decision-making, then those interests are likely to be ignored. Courts, Ombudsmen, Guardians The report describes three main ways that we can (and sometimes do) protect the environment for future generations: the courts, ombudsmen (or commissioners), and guardians (or trustees). A functioning court system is essential. The courts interpret (and hopefully uphold) the law. Of course there have to be meaningful laws to uphold and the courts have to be independent from the influence of money or other sources of corruption. The report offers a few examples like the Philippines, which gave 44 minors the right to "sue on behalf of themselves and future generations because of concerns about unsustainable logging in the country." (p. 13) And the Montana Supreme Court "found its state constitutional environmental provisions give private citizens and environmental groups the right to sue for environmental harms to public resources." which theoretically protects the health and environment of future generations. Assuming that the courts serve their basic function, then the appointment (or election) of ombudsmen and guardians for future generations are logical next steps. An ombudsman is an advisor who engages in a decision-making process on behalf of future generations. A guardian is a legal representative for future generations. The distinction between the two is subtle but important. Guardians give future generations a direct voice and a real presence in the decision-making process. According to the report, "Guardians are advocates rather than advisors and seek, in specific situations such as litigation and negotiations, to maximize the best interests of those who cannot speak for themselves." (p. 19) The natural resource trustees authorized by the U.S. Superfund Amendments and Re- authorization Act of 1986 is a model for how guardians for future generations could work to protect the environment and health of future generations. Models for Protecting the Environment for Future Generations is a unique resource for anyone interested in really protecting the rights of future generations. It spells out in considerable detail how courts, ombudsmen and guardians can protect the future. It also reminds us that our right to a clean and healthy environment is still not recognized as a basic human right. According to Carolyn Raffensperger, one of the authors of the new report, this right, and extending it to future generations, are essential additions to the Universal Declaration of Human Rights of 1948. In this report, you will find practical ideas and suggestions that you could put into practice in your town or city, your county council, your state, or your national government. 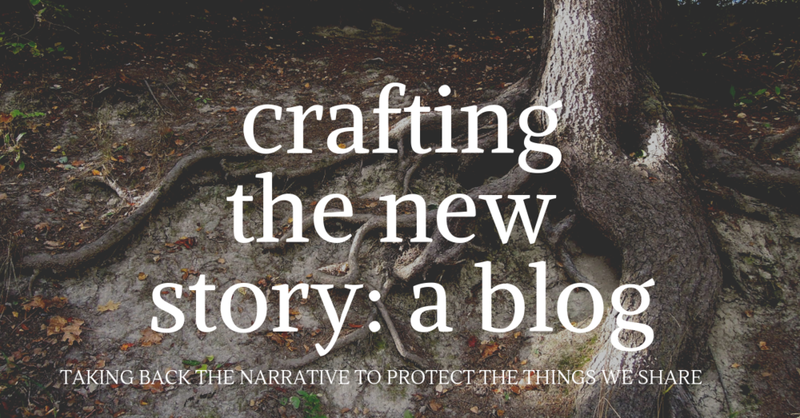 In sum, here is an essential set of tools for protecting the future, some new, some ancient, but all explained clearly, concisely, and (so far as we know) collected together for the first time ever. Get yourself a copy of the new report here.